Why to have windows washed? In order to maintain clean windows and frames, it is very important to have them cleaned regularly. We offer regular services or ‘one off ‘ for all our cleaning services; however, we are flexible to adjust to client’s needs and preferences. It is essential to understand that hard water can cause long-term damage on your windows or doors. Lime scale can build up very fast and stain your windows. 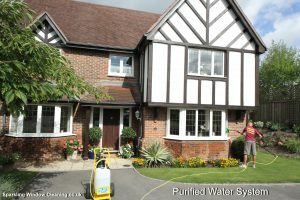 We use specially purified water for cleaning windows with water-fed pole systems which leaves no stains or marks on your windows. 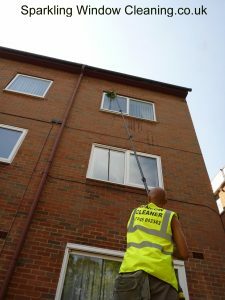 We also provide a traditional manual window cleaning method. As with all the surfaces, the weather can affect the quality of the your windows, doors, wood frames. We offer fast solution and are happy to provide FREE quotations for any work that is needed on your premises. 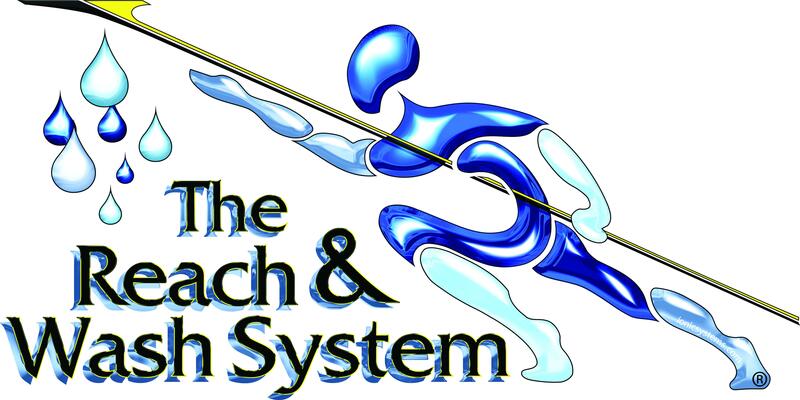 We operate on monthly, every 2, 3 or 6 months basis. 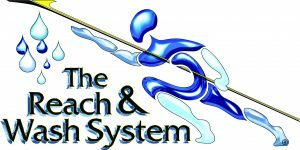 Our methods include a traditional ladder and squeegee or we use Reach and Wash water-fed pole system. For example inside buildings, rooms or small shop fronts. Client’s safety as well as our staff’s safety is of paramount importance. We assure safe working environment and safe ladder operation. Our team is highly trained and experienced in the use of ladders. Risk assessment is carried out regularly. We clean all types of windows: sash windows, leaded, squared, double/single glazed, obscure, and other. We also wash skylights, roof windows of residential and commercial a properties and offices. We ensure safe working conditions. Our team will leave the property clean and tidy by removing all rubbish. We are fully insured and maintain high working standards.